The Town of York offers transient mooring space in York Harbor at $30.00 per night (First come basis). Those interested should contact the Harbormaster at their seasonal number at the Town Dock 2 offices - (207) 363-0433. The Town does not provide water, electrical services, trash or wastewater disposal, however, within York Harbor, there are multiple private entities who do provide such services. Donnell’s Marina (207-363-4308) offers transient space, and provides electricity and potable water on their pontoons. York Harbor Marine Service (www.yorkharbormarine.com / 207-363-3602) provides a fuel dock with unleaded gasoline and diesel ValvTect marine fuels, potable water, electricity, coin-operated laundry, showers and restrooms, as well as limited transient space during operating hours, which change seasonally (Monday-Saturday 8 AM to 4:30 PM, Sunday 9 AM to 4 PM, closed on Sundays after Labor Day). There is no wastewater disposal service provided in York Harbor. Please review the Maine Pump-out Station and No Discharge Area Guide issued by Maine Department of Environmental Protection here: http://www.maine.gov/dep/blwq/topic/vessel/pumpout/pumpoutguide.pdf. You can schedule a pump-out at your mooring by contacting a pump-out boat out of Portsmouth, NH at 603-370-5130. This is a privately operated service. York Village is a short stroll away and offers casual foods like coffee and bagels, lunch and snacks as well as pizza and sandwiches. Further down into York Harbor (York Harbor Beach area) you will find higher end lodging and Fine and Casual Dining. Enjoy a picnic in Hartley Mason Park, on the sand at York Harbor Beach or stroll the Village and Historic District. York Chamber of Commerce. Welcome to York, Maine...Old New England at its finest. Tie up your boat and enjoy the river, harbor, walking paths, beaches and local businesses. Navigate this site to find all information relative to your visit. Enjoy your stay in York Harbor and stop by our office at Town Dock #2 or call 207-363-0433 should you have any questions or problems. The York River is an estuary, where fresh and saltwater mix with the tides. The protected coves and marshes act as a “nurserey” for young marine fishes, crustaceans and shorebirds. Salt Marsh grasses require regular inundation by salt water. Looking across the marsh you can see that different species of grasses grow where the terrain is slightly higher or lower. Shorebirds you may see include great blue herons, night herons, white egrets, tiny sandpipers, many kinds of ducks and the ever busy kingfisher. Many birds nest along the marsh edge. Bald eagles and ospreys dive for fish. If you're lucky you may see a river otter, muskrat, deer, or fox. More likely you’’ see tracks in the soft mud or an otter slide on the river bank. In the fall and winter look for the harbor seals. The York river is home to several species of fish that live in the ocean but species of fish that live in the ocean but return to freshwater to spawn. These include alewives blueback herring, sea run trout and smelt. The York Harbor Master assigns town moorings to visitors on a first come, first serve basis. 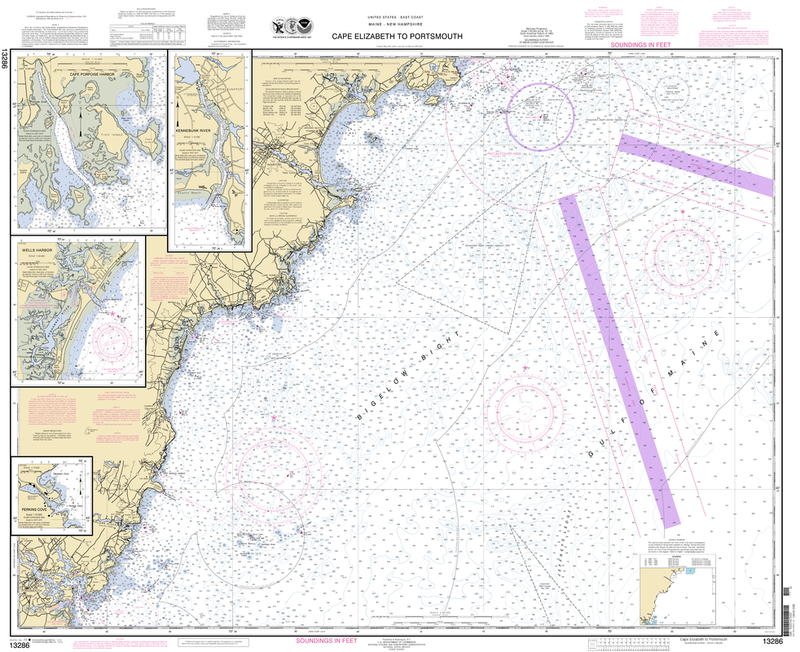 The York Harbor Master and York Harbor Marine Services monitor VHF Channels 16 & 9. The York River provides excellent fishing for striped bass, bluefish and flounder. Saltwater fishing in Maine DOES require a license. Lengths and limits to fish apply. Fishing from Bridges is allowed except over the boat channel. Visit maine.gov for fishing laws and regulations. We hope you will enjoy your visit, and help us take care of our river as you enjoy its beauty. Please follow our boating rules and courtesies for your safety. The York River has a strong tidal current with an average water level change of 7-9 ft every six hours. Follow Speed Limit as Posted Look behind you to make sure your boat is making NO wake in the NO WAKE ZONES. Whats the big deal about wakes? • Wakes damage moored boats and floats. • Lifejackets must be worn at all times by boaters age 10 and under. • Keep arms and legs inside the boat. • Bow-riding is dangerous and illegal. • At night, use running lights. Canoes and Kayaks must have a white light onboard. Use it to prevent collisions. • The York Harbor Master does write tickets for illegal behavior. • If approaching a boat head on, both boats steer right to pass left side to left side. • If two boats approach at an angle, the boat on the right has the right-of-way. • Keep to your right in the channel. • Upstream tides may be an hr or more later than Harbor tides. • Upstream mudflats are dangerous at mid to low tide. Don't get stuck. • Plan your trip to take advantage of tide and wind. • Avoid adverse tide and wind. • Enjoy the side channels.